This week two more classics are coming up, both in Flanders, Belgium. On Friday there is the E3 Harelbeke and on Sunday Gent-Wevelgem. Both races are part of the WordTour. In the E3 Wout Van Aert (Jumbo – Visma) will be one of the main contenders. In Gent-Wevelgem Van Aert will cross the swords with Mathieu van der Poel (Corendon – Circus) for the first time. Friday’s E3 Harelbeke features just a Men’s race, and Sunday’s Gent-Wevelgem will be contested by both women and men. We take a look at the two races coming up this weekend. 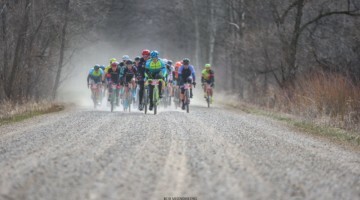 The E3 Harelbeke can be considered as a test for and a little brother of the Tour of Flanders. The Tour of Flanders has 17 climbs and a length of 267 km while the E3 has 15 climbs and a length of 204 km. The last two climbs of the Tour of Flanders, the Oude Kwaremont and the Paterberg, are climbs 13 and 12 in the E3 and, just as in the Tour of Flanders, they will also likely be a decisive factor in the E3 Harelbeke. 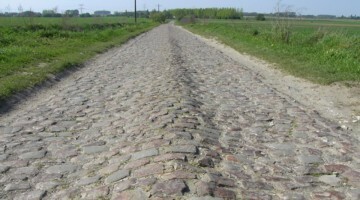 While in the Tour of Flanders the Oude Kwaremont will be climbed before the Paterberg, the Oude Kwaremont is climbed after the Paterberg in the E3. On top of the Oude Kwaremont, 38 km are left until the finish line in Harelbeke. Two more climbs and one cobblestone sector are awaiting the riders in those remaining 38 km. First, there is the Karnemelkbeekstraat, a climb found by the organizers of the E3 and therefore called the “E3 climb,” followed by the cobblestones of the Varent and the Tiegemberg. On top of the Tiegemberg there are 19 remaining kilometers, which are 19 hard kilometers for a man alone. Even though last year’s winner Niki Terpstra isn’t part of the Deceuninck-Quick-Step team anymore, the “Wolfpack” seems to be the team with the biggest chance of winning once again. With Belgian riders Philippe Gilbert and Yves Lampaert and Czech rider Zdenek Stybar, Deceuninck – Quick-Step has three guys to play with. But the competition will be tough. Riders such as Niki Terpstra (Direct Energie), Tiesj Benoot (Lotto Soudal), Greg Van Avermaet (CCC Team), Oliver Naesen (AG2R La Mondiale), Peter Sagan (BORA-Hansgrohe) and Wout Van Aert will try to bring the blue guard down and Deceuninck – Quick-Step’s latest run through the classics. The two riders which will defend the American honor on Friday are Taylor Phinney (EF Education First), who will probably be one of Sep Vanmarcke’s lieutenants, and Chad Haga (Team Sunweb). This weekend a double feature for the classics, with Gent-Wevelgem taking place on Sunday in northwest Belgium. Flanders Fields, echelons and the Kemmelberg, that’s Gent-Wevelgem. The Women’s version of Gent-Wevelgem was first held in 2012, with Lizzie Deignan (Trek – Segafredo Women) taking the first win at the race. No rider has won more than once, so the race is still looking for its first repeat champion. In last year’s Women’s race the victory went to Italian rider Marta Bastianelli (Virtu Cycling Team). In a bunch sprint, she defeated Belgian rider Jolien D’Hoore (Boels – Dolmans) and German rider Lisa Klein (Canyon // SRAM). 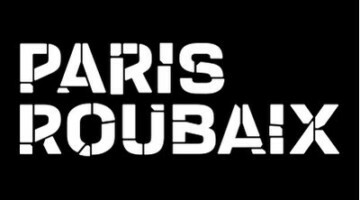 D’Hoore has finished second the last two years, so she will undoubtedly be looking for the win. In last year’s Men’s race, Peter Sagan was the fifth rider in history to cross the finish line in Wevelgem as first for the third time. The 5 other record holders are Robert Van Eenaeme (1936, 1937, 1945), Rik Van Looy (1956, 1957, 1962), Eddy Merckx (1967, 1970, 1973), Mario Cipollini (1992, 1993, 2002) and Tom Boonen (2004, 2011, 2012). Sagan won the bunch sprint in which Elia Viviani (Deceuninck – Quick-Step) and Arnaud Démare (Groupama – FDJ) finished second and third. The Women’s race as well as the Men’s race already have an American rider on the honors list. Lauren Hall won the 2014 Women’s race, and George Hincapie won the 2001 men’s race. The course of this year’s Women’s race has a length of 136.8 km, which includes three main obstacles: off-road sections, six climbs and the wind. In the open and flat parts of Western-Flanders, where it’s often very windy, echelons are frequently formed in Gent-Wevelgem. The last climb of the day will be the Monteberg after which the course passes the Menin Gate in Ypres on its way towards the finish line in Wevelgem, 20km away. Marianne Vos (CCC – Liv), Kristen Wild (WNT – Rotor Pro Cycling)) and Bastianelli all enter the race coming off wins in the last two weekends. Omloop Het Nieuwsblad winner Chantal Blaak (Boels – Dolmans) will be representing her star-studded team. The course of this year’s Men’s race has a length of 251.5 km with 3 off-road sections and 10 climbs. After the last climb of the Kemmelberg, the course goes towards Ypres, where the riders will go through the famous Menin Gate. The finish line, however, isn’t in Ypres, but in the West-Flemish town of Wevelgem, a little more than 20 km after riding through the Menin Gate. The main favorites will be the same as for the E3 Harelbeke plus the best sprinters. Depending on the weather and on how tough the race will be made by the riders, it’s possible that a good sprinter, such as Italian rider Elia Viviani, will take the win. The race is also newsworthy for the debut of Van der Poel racing alongside Van Aert. Both riders have had strong spring campaigns, so it would not be surprising to see one of them in the mix on Sunday. If last year’s winners Maria Bastianelli and Peter Sagan win this year’s edition as well, they will become sole record holder: Bastianelli would be the only woman with two wins, Peter Sagan would be the only man with four wins. Once again a lot will be at stake in Flanders Fields.